If you’re into trendy home decor pieces like you find at Target, Anthropologie etc.. then you will love how easy it is to customize this great DIY typography vase for a fraction of the cost! So today I’m going to walk you though how to do this and some extra special tips about my crepe paper flowers. I saw this one over at Target and thought it would be fun to try and DIY something with my paper flowers in the spotlight of the typography letter vase. 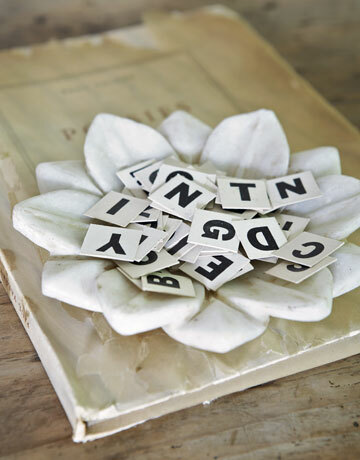 And check out these 12 letter perfect crafts from Country Living. Psss…I’m totally in love with the DIY 3D paper book vase! She put her on spin on it with using trendy succulent flowers. And I love the color scheme she picked! I choose to use the word ‘LOVE’ since I wanted something inspirational to remind me to always show love towards others, inside and outside the home. You can of course choose a word that’s most inspirational to you. Or my favorite, a child’s name for their nursery! I even thought about bypassing the wood bottom and hanging the letters directly on the wall for a cool wall art statement piece. Cardboard letters of your choice. Depending on how many letters you use you will need at least 8-10 large flowers and greenery. First you will want to spray paint your letters and wood mounting board. I choose a watermelon pink for my letters and a tan for the board. If you are going for a more neutral tone for a better fit in your home then chose maybe a tan, cream or dusty blue paint. Be sure to spray outdoors! Those fumes will get you! Let your letters dry thoroughly. I’ve heard of some people using an xacto knife to cut the top of the letters open. I did it a little different and had my hubby drill a few holes where I wanted them in the tops. That way the flowers stand up better. After you finish drilling or cutting open the tops, glue the letters with hot melt glue to your board. I choose to make crepe paper flowers while you can of course use silk if you like, but crepe paper flowers really add that extra unique pop! I’m going to be posting tomorrow on ‘The secrets to perfect crepe paper flowers.’ along with a step by step tutorial to building a crepe paper rose. But I’m going to give you a little hint and wet your appetite a bit today. Obviously when making paper flowers you need to choose what type and quality of paper you need. You NEVER want to buy crepe paper streamers and try to use those for flower making! They shouldn’t even be called crepe paper in my opinion! 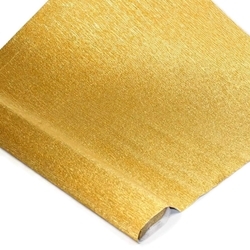 Let me introduce you to Mulberry Paper And More. I’m going to go into more detail about the crepe paper flowers and my new Mulberry Paper obsession tomorrow, but in the meantime take a look around their site. Here are just a couple beautiful examples I saw over on their site. And they have a TON to select from! Iridescent paper is extremely hard to find. Trust me I know. I’m a huge paper craft geek. And the prices are really reasonable. So before deciding to go with silk flowers to fill your new trendy typography letter vase stick around and learn to nail some gorgeous paper flowers. 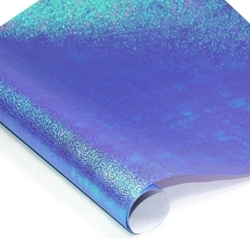 And pick some stunning paper up over at Mulberry Paper And More! This is adorable! Thanks for sharing at Merry Monday!